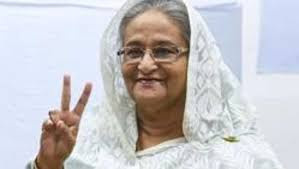 The United States commends the tens of millions of Bangladeshis who voted in Bangladesh’s 11th parliamentary election on December 30, 2018, as well as the decision of all major opposition political parties to participate, a positive development after the boycotted election of 2014. The challenge for the opposition is now to systematically collect detailed evidence to prove that rigging took place on the scale that they allege - constituency by constituency, polling statement by polling station, polling agent by polling agent, at a level of detail and accuracy that will prove its case not only to the Election Commission and the country's judicial authorities (which will no doubt reject it) but more significantly to the international community. This is a major piece of work, requiring a lot of man power but something that should be done. The opposition must also ensure that they do not exaggerate their case, and ensure that their allegations are based on clear evidence.